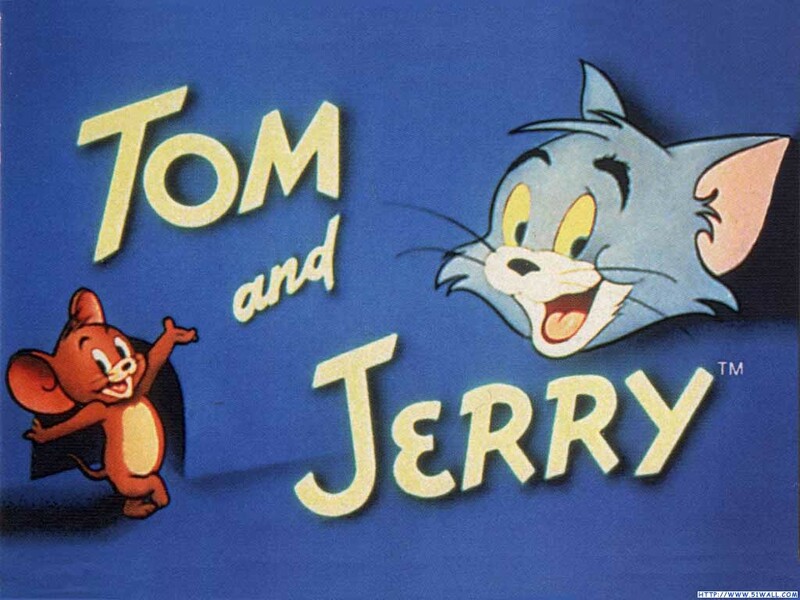 My kids (ages 5 & 3) absolutely LOVE the classic cartoon – Tom and Jerry. They laugh and laugh. We have a special cable feature through Comcast called OnDemand where you can click on different categories such as “TV Series”, “Movies”, “Kids” and many more. Under the “Kids” category, there are different channels listed and under the channels there are cartoons. One cartoon that is showcased under the Cartoon Network category is Tom & Jerry. There are about 6 specific 30 minute cartoons that you can choose from and they rotate each month or so. But every single day before bed, my kids have to watch at least one episode of Tom & Jerry. Tonight I wound up sitting down with them while feeding the baby a bottle and I watched it. I’ll tell ya, it sure did bring back a lot of memories. I just can’t believe that it is just as entertaining now as it was when I was a kid! And my kids literally crack up laughing while watching. It is so cute. How about you? Any Tom & Jerry fans out there? If not, I would love to hear what your favorite classic cartoon is. Leave me a comment! And be sure to check out these great Tom & Jerry items on sale! .-= Tiffiny´s last blog ..Forgive me Father… =-. I have always told my DD that she needs to watch something educational so our TV is usually on Noggin or PBS Sprout BUT she does occasionally say “Mama, Tom and Jerry is one, and I love them, it’s not educational but it’s funny” I have to giggle and yes I do let them watch it and they do love it. Funny how those old cartoons are still popular with our children! .-= Brandy´s last blog ..High Ho .. High Ho.. Back To Work I Go =-. LOL. We’re exactly the same. My little ones like T & J so much all for the same reasons ( ondemand etc) They don’t get it all the time and it counteracts the other superhero shows I’m not keen on but they love. I’ve just introduced them to Yogi bear. The jury is still out on that one but they watch it and I see them smile. .-= Melitsa´s last blog ..Two art activities =-. I used to watch T&J when I was a kid. Glad it makes them laugh. My 5yo loves this show. We call it Thomas & Mr. Gerrard at our house. Earlier I used to see the T&J cartoon with my children.Now they are married and have settled. I feel lonely and pass the time while watching these cartoons. what a great show this is!! I love the Tom and Jerry both cartoon and also the game………Its interesting and a fun thing to do in your leisure time………..Thank you Tom and Jerry for makeing my day a happy one…..
i love the tom and jeery cartoon.